Almost as soon as we got here, we needed to build things. A mattress on the floor is OK, but it’s better to have a bed. And with the old kitchen knocked out by our plumbing work, we needed a better alternative to washing up the dishes with a garden hose. 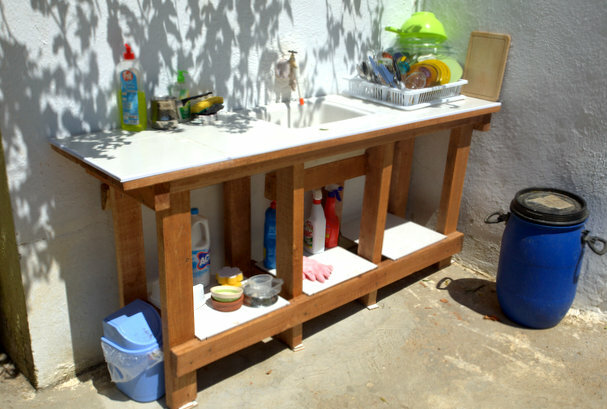 Surely we could rig up an outdoor worktop that would re-use the old sink? The free 3-D design tool Sketchup has been really handy for this sort of thing. We started using it a few years ago, designing a re-modelled kitchen for our house in Southampton. We used it a lot more when we had to get planning permission for our straw-bale bungalows here in Turkey. I know that for simple jobs you can just sketch things on the back of an envelope, but having the ability to see how something is going to look in 3-D is really addictive. It’s also helpful for buying the materials: knowing exactly how much timber you need, for example. Double bed planned in Sketchup. 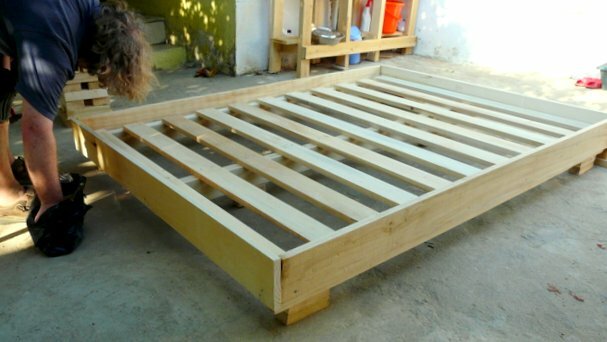 Bed coming together in the real world. OK, so the bed was a straightforward job, but I was pretty happy about getting it done with only a handsaw, hammer, and nails. (All the fancy power tools are still in our shipping container.) And then the outdoor sink was something I’m sure I would have messed up without Sketchup to help plan it out. 3-D model of the outdoor kitchen worktop. The outdoor kitchen: tiled and stained and seeing lots of use. At this point maybe you’re thinking that I am getting a commission from the people who make Sketchup, but sadly no. I just like it a lot. 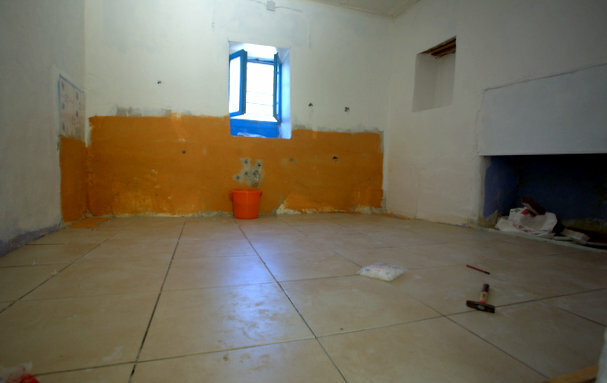 The next job is designing our indoor kitchen as the room is now tiled and ready to go. OK, so this post was possibly a bit dry for people who are not that into amateur carpentry. 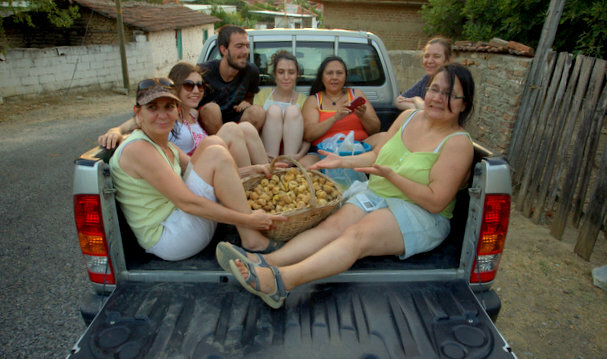 So, apropos of nothing, here’s a picture of some recent visitors-turned-fig-picking-volunteers crammed into the back of our truck. Poorly paid fig pickers distracted with a sunset ride to the lake. 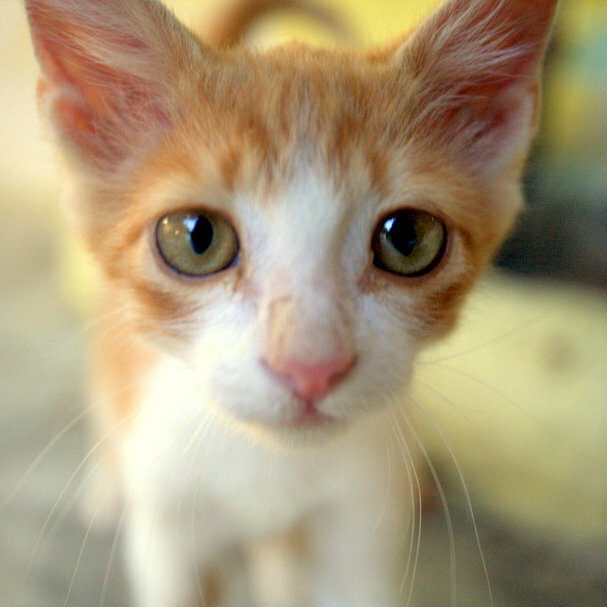 And finally, some more gratuitous cat photos. 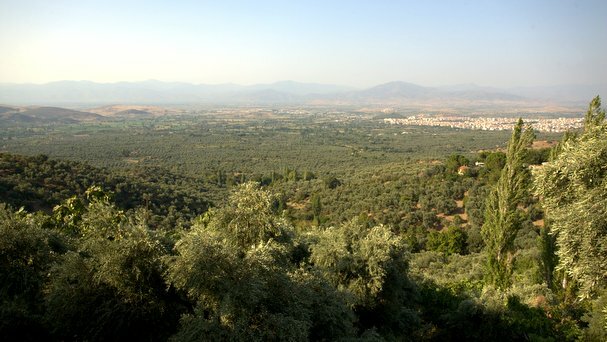 Şurup reclining above our heads, nestled in the grape vines. 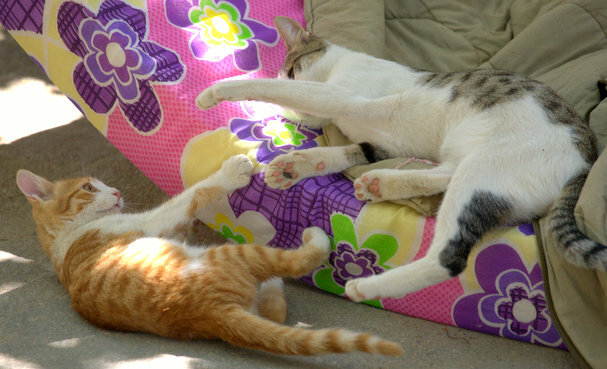 Round 307 of Şurup and Tarçın’s endless wrestling match. If you think of Şurup as Mr. Miyagi and Tarçın as Ralph Macchio it all makes sense. Well, not new exactly. More like 2007. We were feeling increasingly guilty about borrowing Sirem’s mum and dad’s car. And we needed something capable of carrying a load of timber or tiles or plants home, but also able to pick up four people and luggage from the airport. 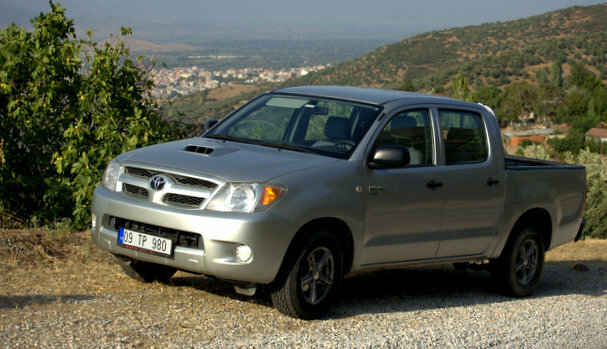 So we bought a double-cab Toyota Hilux. We heard they were tough and reliable: you do tend to see them on the news being driven around conflict zones, for example. Very happy with it so far. The new truck. Our transformation into proper rednecks is now complete. Better have a road trip to test it out, right? We had to go to Izmir anyway, to sort out some paperwork for our here-any-day-now container. So on the way back we got off the highway and drove to the town of Tire, in the next valley north of ours. 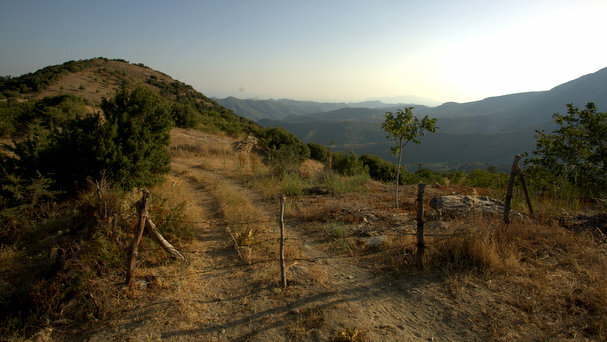 Then home via some narrow, winding roads across the mountains. It was a bit of a gamble, as we weren’t 100% sure there was a proper road going all the way across. But we’re so happy we took the chance: the scenery was breathtaking. We knew that our place sat in the foothills of a decent-sized mountain range, but we didn’t realize how beautiful and secluded it was up there. Looking north, with Tire in the distance. 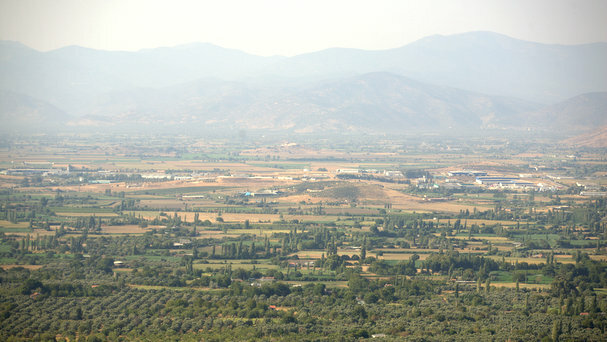 The view across to the other side of the Küçük Menderes valley. The first part of the drive we were climbing with views of the farmland around Tire. Then we got over the ridge and we were up into a different world. 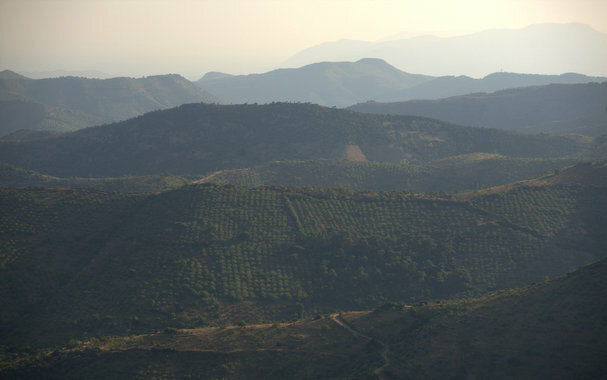 Steep hillsides covered with figs even at that altitude, and deep ravines sheltering villages of old stone houses. It was so quiet up there, and at least 5 degrees cooler than down on the plain. Range after range of hills, looking east. You get the feeling they don’t really need the fence. There was nobody around. 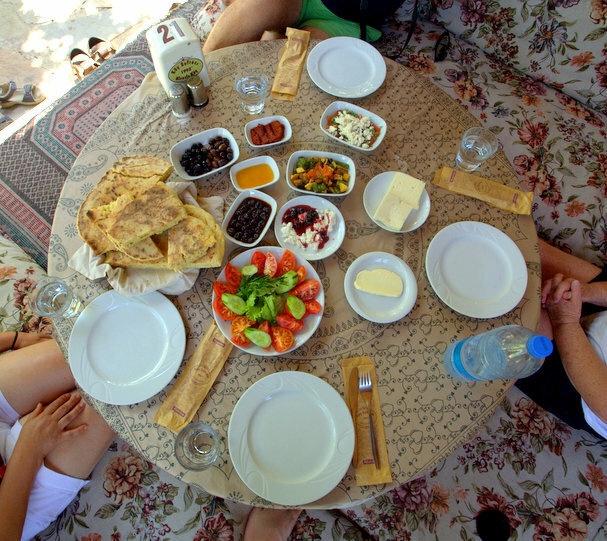 Breakfast is a big deal in Turkey. There has to be fresh bread, and cheese, and tea, and multiple types of jam. 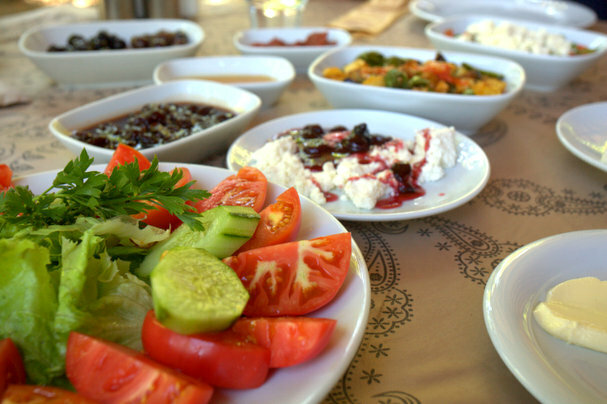 Often you get more than that: vegetables (e.g., fresh cucumbers and tomatoes), eggs, sucuk (spicy beef sausage), honey, olives, olive tapenades, etc. Breakfast is taken especially seriously in rural villages. The little country kitchens seem to be engaged in a competition to see who can do the biggest servings and have the widest variety of food. Dad studies his camera while we wait for the food. 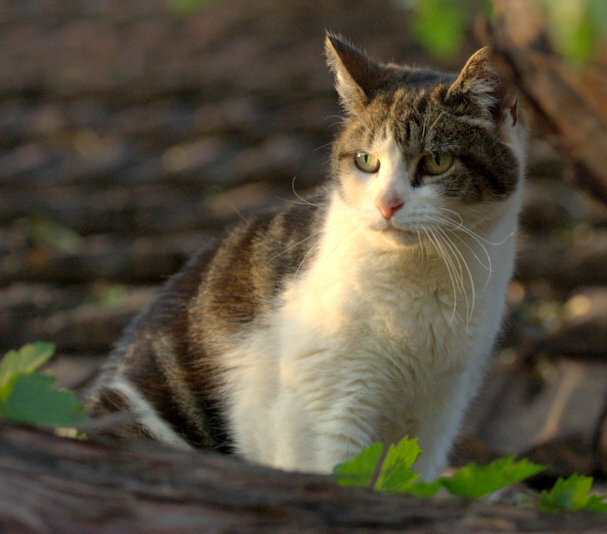 The restaurant is set in the gardens where a lot of the food is grown; the chickens that lay the eggs share the undergrowth with a few cats. You lounge on a traditional sedir (Turkish low sofa) and enjoy the shade while you wait for your order. They brought us a truly ridiculous amount of food, but it all tasted fantastic. My favourite was the spicy olive tapenade (top centre in the photo above) but the soft cheese drizzled with cherry jam was also excellent. Cucumber and tomato salad; soft cheese with cherry jam. 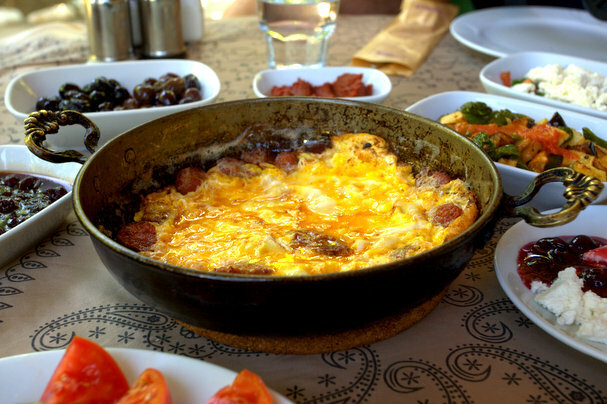 The eggs and sucuk have arrived. This place is a great reference point for us: once our own rooms are open and we’re serving breakfast as part of the package, we hope to do as well as this. It will help a lot that there’s so much great produce available in our village. 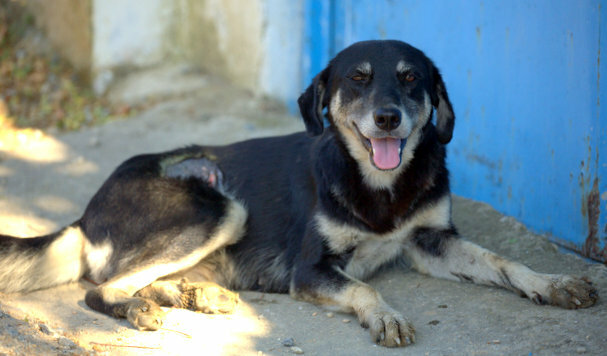 So: Marlowe, Molly, and Maya were safely delivered by the nice people at Paws Bulgaria the day after we got here. I think the heat was probably a bit of a shock to them, but they’ve adjusted very well. The first week they were confined to a bedroom and a chicken-wire covered verandah. After that we let them outside, and they now sleep in the shade during the day, and run around hunting cicadas and grasshoppers at night. Marlowe looking statesmanlike as ever. Molly on the roof, looking wistfully through the vines. Maya: blurry and hard to pin down. But happy, we hope. 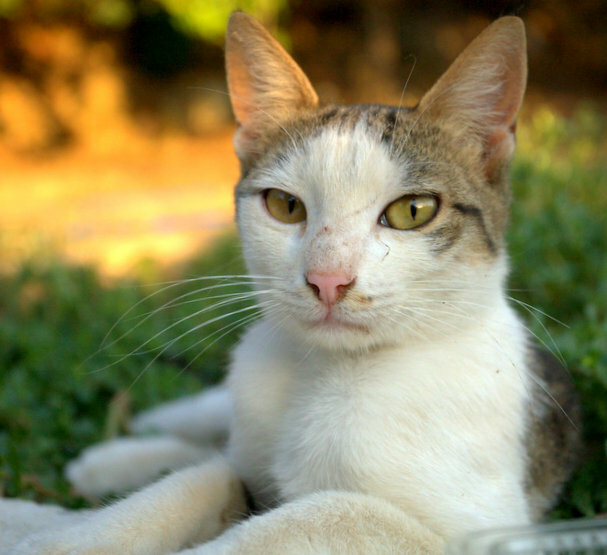 We also have some other cats, because that’s just how it works in Turkey. Regular readers will already have met Tarçın (“Cinnamon”), who was a very small and very hungry stray adopted by Sirem’s dad before we got here. 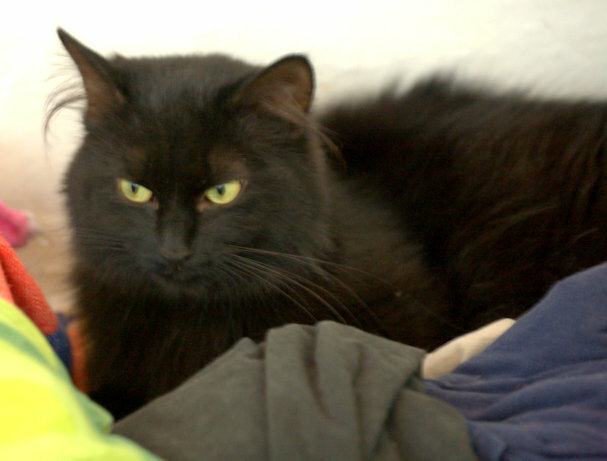 There’s also Şurup (“Syrup”), who was fed by the previous owners we think. 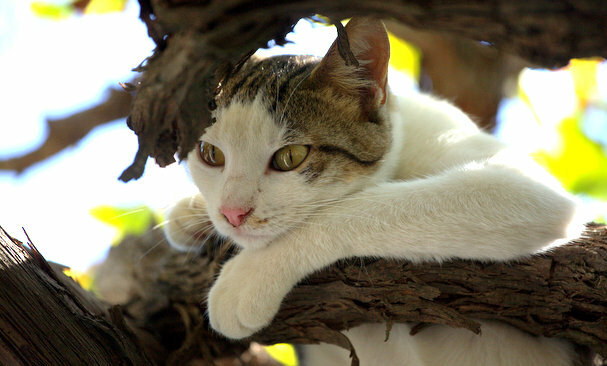 He is a very sweet-natured cat and Tarçın’s chief playmate. The English cats are still deciding what to think about Tarçın, although Marlowe seems to be mentoring him in serious cat business. Tarçın: does he know how cute he is, do you think? 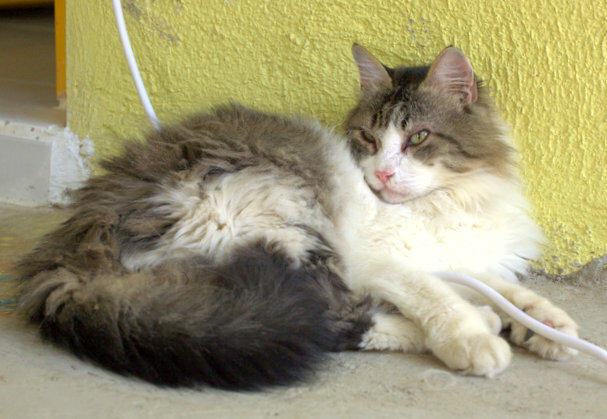 Şurup, who has endless patience with Tarçın’s attacks. 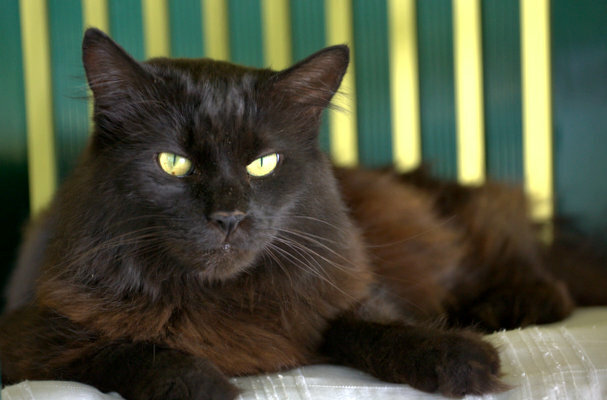 There’s also Oğlum (“My son”), one of Sirem’s family’s cats, who is just visiting from Istanbul. He was one or two problems, including epilepsy, so he needs some extra attention. He also likes to complain loudly if he thinks his food is a bit late. Oğlum managing our power supply. And last but definitely not least, there’s Zeytin (“Olive”) the dog. She used to live in the street outside the house, and was fed by the previous people and some of the neighbours. We felt bad for her out there and thought we should get her spayed to avoid having to adopt litters of puppies. Since we let her in to recuperate after the operation she doesn’t really want to leave. But that’s OK, we needed a watchdog anyway. From the day we arrived we have been overwhelmed by the hospitality of our neighbours. Just after we landed it was the holiday of Eid (celebrations and feasting to mark the end of Ramazan) and all of our closest neighbours gave us plates of home-cooked food. Some of them don’t have much, but all of them insist on giving us bread, eggs, vegetables, olive oil, etc. We hope they will be happy with fig jam in return! As well as sharing the things they have grown, our neighbours have been keen to share their knowledge and experience. 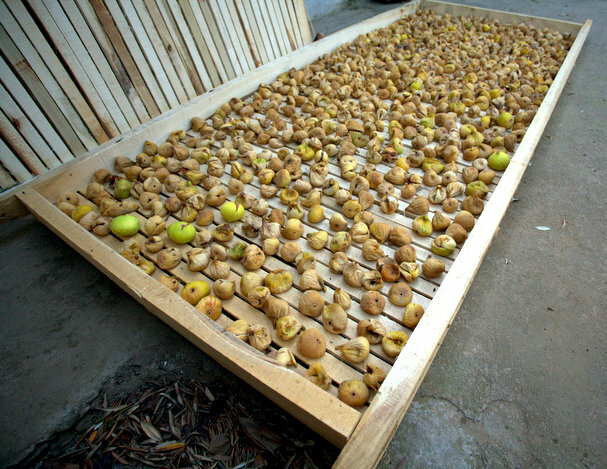 For instance, I didn’t know how to properly dry figs. Did you know that you first wait for the figs to fall onto the ground and then you pick them up and dry them in full sun for a week? Also, the ground should be recently ploughed to make it softer, so the figs are not bruised when they fall. This means that fig picking can take weeks as you wait for them all to fall naturally. In some other fig-growing regions, the figs are chemically treated to make them ripen all at the same time. Doing it the slow, natural way is why Turkish dried figs command such high prices in supermarkets. Time will tell if I have both the patience and the back strength to collect figs every day for a month! But in any case it can’t be more exhausting than the job I was doing in Britain. Days have been pretty hot but it cools down during the night and there is always a gentle refreshing breeze in the evenings. It is not like this in other parts of Turkey. In Konya or Antalya, you can’t sleep until about 4 or 5am as it is still hot and there is no breeze, In Istanbul, it can be quite humid so you are constantly sweating even when you are sitting still. We don’t have air conditioning here yet but we’re coping very well without it. 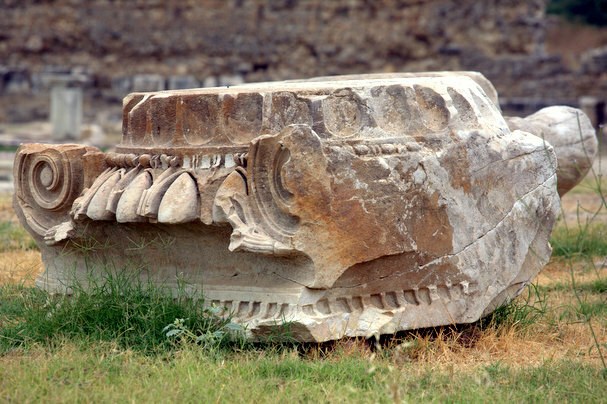 You can see on our local attractions page how close we are to archaeological sites and the sea. Alongside all the renovation work, so far we’ve managed several times to jump in the car and head to the beach for a couple of hours around sunset… it has been great! 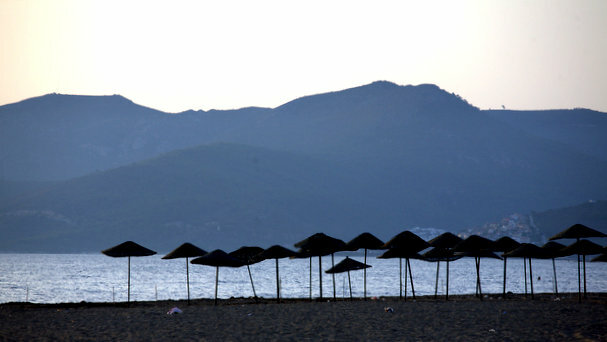 There are no traffic jams, no queues, and at that time of the day the beaches are quiet and the water is very inviting. My parents have been staying with us for a while, and have been really helpful. 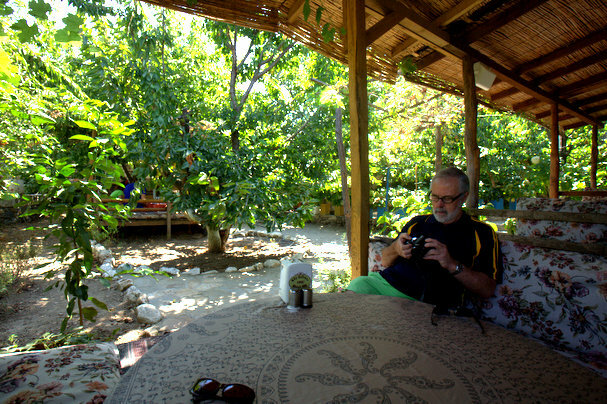 Recently we were also visited by Jason’s parents: all of a sudden we are very popular with our families! 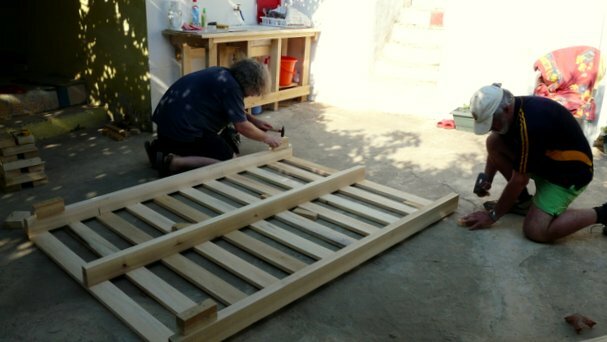 :) They also helped a lot in the garden and helped Jason to build a bed… very handy as we are still waiting for our furniture to arrive. We can’t pick figs and tile floors all the time, so a few days ago we took the afternoon off and went to Pamucak beach to have a swim and watch the sunset. It’s a great beach that has avoided the let’s-build-a-giant-hotel-here problem because it’s down-river from Ephesus and so is protected for archaeological reasons. There’s a small beach cafe providing cold beer and shade, and the beach itself is wide and clean with perfect yellow sand. A great spot for a swim. 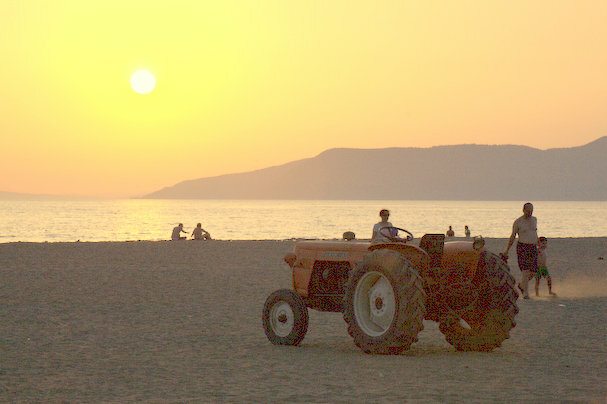 Three of the great features of the region in one shot: beaches, sunsets, and tractors. One of the fun parts of our project is that we kind of have a responsibility to get to know all of the tourist attractions in the area, so that later we can give people good advice about which ones they should see if their time is limited. 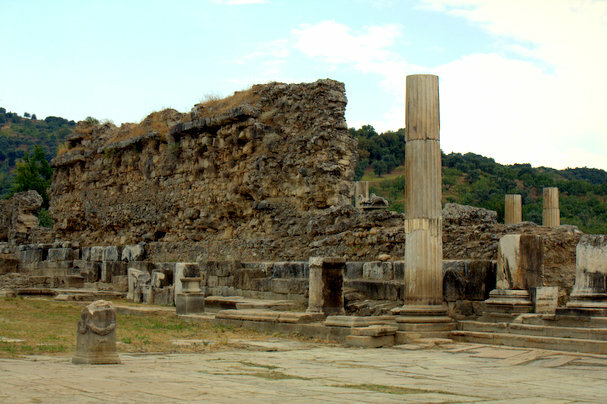 With that in mind, we took another day to visit our closest attraction: the ruins of ancient Magnesia. It’s an evocative place, and must have been a spectacular sight when it was inhabited. Quite mournful to see all that impressive stonework lying tumbled around where it fell, perhaps in an earthquake.